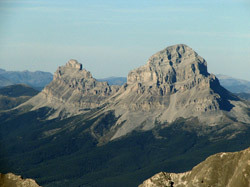 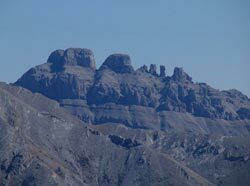 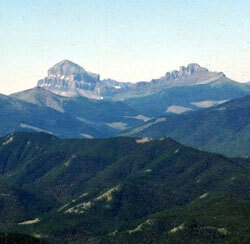 Seven Sisters Mountain is a high narrow ridge with seven distinct high points. 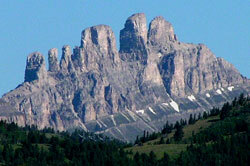 It was first named The Steeples by John Palliser's expedition. 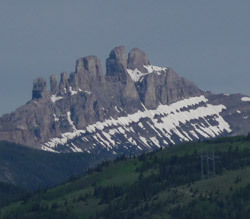 The first ascent of the "Main Tower" of the Seven Sisters was made in 1951, with considerable difficulty, by the well known guide, skier, and photographer Bruno Engler who lived in the Crowsnest Pass area for four years. 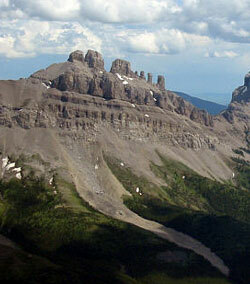 It lies immediately north of Crowsnest Mountain.